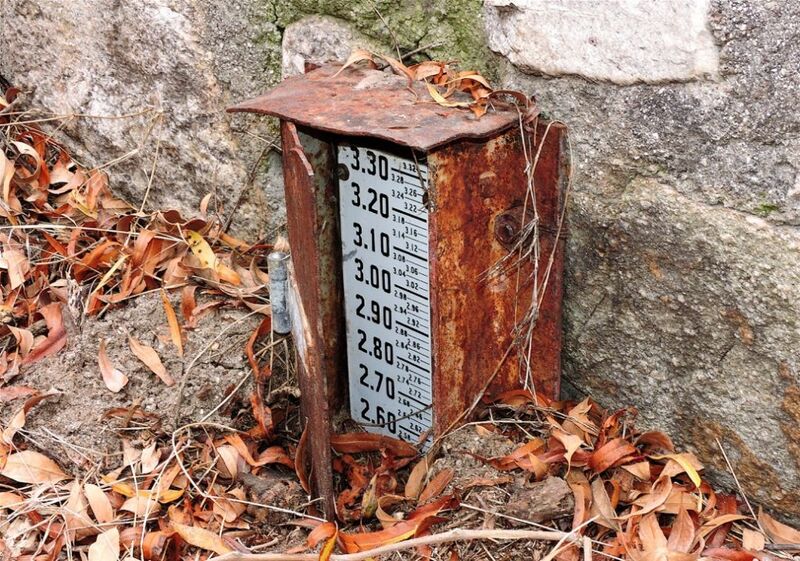 This vintage water gauge at the top of the dam was unearthed during the great Giant Reed eradication project. It's not near the water now, but was in the past. Remember, there once was a lake!